I strongly believe in the fact that an individual must be given the opportunity to rule the country regardless of his ethnic background or religious beliefs provided that he is educated, eligible for the job and shows absolute patriotism to his country. Let the Sennas and monks take to the streets…. let the racist bigots criticise it… but if democracy elects a president of a different ethnicity nothing should be authorised to stop it from happening. The world is moving forward, and Sri Lanka must understand that it doesn’t revolve around Sri Lanka. Such racist views are simply going to belittle us on the world stage. Let it not be considered that Sri Lanka is a collection of Sinhalese, Tamils, Muslims and other minorities… let our identities be etched on to us as Sri Lankans… regardless of our ethnic identity. I salute you for your thoughts but unfortunately you and countless likeminded people are in the minority. As an easy example lets look at the victims of the war: no sooner any one speaks of justice he/she is branded as a traitor. Only words you got to use is war hero. Although they don’t understand the meaning of the word “War Hero” they still will take to the street. So your right in saying the world has moved-on while Sri Lanka stood still. For a minority to be elected President the majority has to lose its racist tendencies. For democracy to work you got to have honest leaders as well as voters that understand the value of the ballot. For a minority to be elected President the MINORITY has to lose its racist tendencies. This is not true and its not rocket science either just basic arithmetic. With this proportion of a majority the minorities will never have the vote unless the MAJORITY stops being racist bigots and vote for an individual and not the race. People like you are the only reason this may not happen. People like us call a spade a spade. I think major part of the problem are the majority of Sinhala Buddhists. (Not all Buddhists) they know what they call Buddhism is a fraud and are insecure. There is your problem. If majority is a problem what are we going to do about it? Well there are alternatives to all problems. First let us liberate the Sinhalese from Sinhala/Buddhists and Buddhists from Sinhala/Buddhism. Second, let us establish a Sinhala/Buddhist ghetto in the south. Ethnically cleanse them from the rest of the island and put them in the 10 square mile no man island. Third, if both do not work pack them back to their ancestral homeland South India, making sure soma, lal loo, NAK …. are in the first boat. Without a Tamil Homeland where are all the Tamils (Tamil speaking people) have going to go? Leave the worrying to the Tamil and Sinhala speaking people. You better start worrying about your Sinhala/Buddhist ghetto. The solution is education and as such it is not an overnight or short term fix. Very just and noble desire that you have expressed, but unfortunately it is the desire limited to a small minority of the Sinhala-buddhist population. It stem from the fact, how we have chosen to define who is a Sri Lankan. When the fundamental document (Constitution) which defines “Sri Lanka” and “Sri Lankan”, calls for Sri Lankans to give the foremost place and to protect, foster the Religion of the majority, is there any possibility for the warped mindset of the majority Sinhalese to change? Is there any possibility for a non-Sinhala-Buddhist to even to be thought of as a President of Sri Lanka? For Sri Lanka to be a modern respected state, we have to first and foremost define ourselves as a people who are not segregated by race or religion. A BOLD THOUGHT IN THE RIGHT DIRECTION. BUT ANYONE ASPIRING SHOULD EARN CREDIBILITY AND WIN HEARTS AND MINDS OF ALL. kumar gunaratne(am) was my batch mate in peradeniya. He is real example for a racist opportunist (can compete with DJ). if some one thinks he is a fighter,because he fought with ipkf,better ask him to contact Karuna to describe how ipkf will look like.nothing more. He was very careful to hide his tamil connection when he was in the university, even when Army was attacking (as instructed by his buddies) us,tamil batchmates, in a’pura. I saw his braveness when major.Vijaya wimalratna and udugampola entered the Akbar Hall.Actual terrorist were All the people in the JVP at that time. Atleaast, piraba terror group has some excuse due to state terror and no other option available. why couldn’t JVP convince Sinhalese Buddhist. only hope in srilanka is to produce more people like our engineering faculty Sinhalese professors (at that time)than DR DJ,Nalin de siva,GLP. there are lot of academic in SL showing open racism then and now. shame! YOu Tamils are not willing to go to your motherland of Tamilnadu. that is Tamil problem. It is our responsibility to protect our land as Sinhala land. Because, We can not ask it from India. We need to throw these Sinhala politicians group by group. Lankamithra like people should be exposed. you can can keep repeating Tamils to go to Tamil Nadu, because there is a state called Tamil Nadu in India. Tamils will ask the Sinhalese to northern India and Bangladesh. Your idiotic repetition is getting boring. You are bit rehabilitated and civilized now. Where do they speak sinhala and Sihala-buddhist culture is thriving ? See that I am rehabilitated you call me dumb. so in order to become smart, I have to undo my rehabilitation. You know how I got civilized? I went to Dalada Maligawa where a fake tooth was held. There i visited group of boys who were cross dressing in what appear to be a saffron saree. I asked these boys, why are you guys cross dressing in a supposed to be a holy place. These boys said that they were monks and they have been brought to the temple to be abused by older monks who are homosexuals. I was enlightened ed by the plight suffered by that cross dressing monks. That is how I got civilized. Do we have a credible person in society who we can consider a s a leader let alone which race he/ she comes from as it’s irrelevant. I understand from an e mail sent to me by a fiend that GR has gone to Singapore on a scholarship for a course at RISS . He is going to visit Buddhist Temples, Mosques , Hindu & other temples and Churches & other places of worship. While he is there he might attend S & T New Year Celebrations at Little India and events of the Tamil Language Month in April. now going to Study Singapore model. It’s not important to be a president is Tamil or a Muslim what we need is a trustable honest and country loving person .and I think as my personal opinion is its better to president is sinhala because sinhalies are majority in Sri Lanka. It’s a peace loving people who are living in this beautiful country.i my self belong to minority. Best example is neighbouring India.PRESIDENT ABDUL KALAM. INDIAN CRIC CAPTAIN MOHAMMED AZHARUDDIN. Then Singapore the same etc list goes on. WHAT A STUPID AND DISGUSTING PSEUDONYIUM. What a dangerous joke. Get your mind out of the gutter immediately! Why do you want morally superior Ariya Sinhalese to be ruled over by some always a trouble Muslims? Most Sinhalese today are not of Aryan descent. In an office dominated by community A, it is hard to get into a peon from community B.
Presidency? If we’re lucky, maybe after 100 or more years. 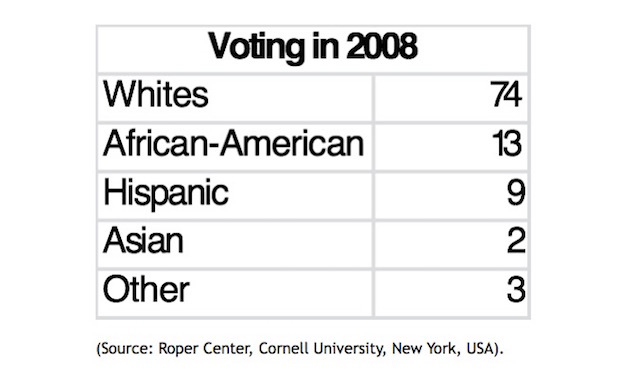 What Barack Obama elected on behalf of BLACKS ? Is Barack Obama a African-American with historic connections to slavery ? Was he elected because he could SPEAK for the whites on behalf of whites ? It is important to understand that in western english countries you can go up the political ladder as long as you speak for and on behalf of the majority. Who is the majority in this case ??? WHITEES ??? When a Tamil or Muslim that can talk about and represent Sinhala-Buddhists concerns and issues…they will be elected on behalf of Sinhala-Buddhists…. We are not as bad as you make us out to be …we are not racists ..we have a right to defend our way of life and our world view….we may be bigots BUT not racists. The origin and development Sinhalese- Buddhist civilization was born out of 5000 years of history of Pre-Aryan era an island that later covered more nearly another post Aryan 2500 years. There is more evidence that provide archeological and anthropological pre-Aryan civilization that has no relationship Dravidian roots of culture. The Sinhalese-Buddhist civilization has uninterrupted connections with pre-Aryan civilization as well. Sri lanka is country having of ancient civilization norms of more embodied by rich human values than not by some recently emerging religions ideologies of exist in other part of world. Buddhism is not a religion, it is Philosophy of that one type of world outlook of that teaching of living of human being in rationally way of life style. Realizations of life are comes not from the Idea by the ‘God’ or ‘Blessing of God’, it comes from roots of self-realization by himself. The an approach idea of men and women hence wisdom of that humankind base on not by outside power or by invisible power of high-hand, but by its origin & growth is self convection of products of the governing laws of natural world . Sri lanka is quite impossible. That is a reality of politics of governances of that our nation goes to the values system of democracy. The ours nation & people’s out-look is different from other power base nation and their roots of blessing by invisible power of ‘God’ and non-God power. That is why ours democracy goes to deep social roots of even that rural poor and rich in Urban bourgeoisies accepts and respects the votes rights of democracy base in the whole country. The People rejects and denied Terrorism is not suited to idea of civilization by deeds of democracy is concern . Sinhalese were never Aryan. They are the descendants of South Indian Kallathonies. In 1974 the government of Pakistan passed a law which stated that Ahmadi sect of Islam is not Islam. Ahmadis are a persecuted group in Pakistan now. Mohammad Abdus Salam was a Pakistani theoretical physicist. He shared the 1979 Nobel Prize in Physics and was the first Pakistani and first Muslim to receive a Nobel Prize in science. Salam had to leave Pakistan. Why? Because he was an Ahmadi. Where the hell was Benazir when the 1974 law was passed? It is easy to pontificate. The bees do it. Chandrika does it. Mahindapala and Izeth do it. MR and GR does it. Even Dayan J!! Lankamithra –Is Sri Lanka Ready To Elect A Tamil Or A Muslim As President? One has to clear several hurdles and crocodile infested moats to answer this question. Sorry Lankamitra the question is almost on par with the class essay assignment “What will you do if you won a billion at the next lottery”. Seventy years ago politicians created the language/religious divide. This turned out to be a goldmine for the politicians but brought no joy for Lankans. A mindset has evolved in which anyone attempting to think otherwise is rated unpatriotic and traitor. First thing first. Will we ever get the language/religious divide out of the way? I’ve glanced at the previous page, and now this. Yours is one of the best responses. Yes, it’ll take lots of hard work to overcome the “language/religious divide”. Meanwhile, we’ve got to each do what we can to establish a society that will think more clearly and fairly. The Sinhalese -Buddhist are having Ideological differences of Religion, Political different an approach of modern democracy and Social values of majority that inequality address by Sri Lankan Sinhala community are on different path of reconciliation and social justices between Tamil and Muslim religion community in our society as whole. We accommodated Tamils and Muslims not their only accepts values we understanding it take long-term task, by it wanton work change their mind-set by it is time is not that enough of period of history.? Needless to say all type of illusions and mysterious are having social evils for some space in time of history has to come in future can be coexist with Buddhism side by side. Why is that we accept religion FREEDOM could grant by Republic Constitutional changes since 1948 Independence for Tamils of Hinduism and Muslims step by step. That natural pattern of law of governing mode of Democracy is unpresidently to be suited an object situation of Modern political evolutionary process of Parliamentary system of Governances last 70 odd years- Sri lanka. This an issues are to be address by majority community before an appoint of Non-Buddhist President and Premier of Republic of Sri Lanka. The matter are that minority voters of ignorance of all these key factors and its foundation of Buddhist social values and morals of Island by 2500 years ,that is an unique to Sri Lankan conditions only time being. It has nothing to do with other nationalities values and their background of roots in the past. The many writers are attempted to interpreted to Western ideologies of Christianity’s and Islam of Koran teaching are most related to “God is creator of universe” that has principle differences of Buddhist Teaching. The majority Sinhalese are guided by Buddhism theory of knowledge . We are not an opposed equality of human races or their believes of Regions faiths. But ours path of ideology differences cannot be by settling issues by issues by an appointments of President or Primer or by partition of Island that Not going bring social justice is Utopian think of Equal society !!! Unlike USA and UK led political hypocrisy of Democracies in “God Bless civilization” of Western modern politics of dominated democracy of Hegemonies of Old Capitalist -Imperialism that OLD World Order is outdated long before. “The Sinhalese Buddhist farmer wakes up with the morning dawn and break of the first rays of the sun, the grass under his feet still damp with the virgin dew, treks the gravel- covered grassland that leads from his home towards the bus stand located almost one kilometer away. His day is not promising. He has to travel some kilometers by bus to reach his prospective benefactor, the money lender of the village, a Mudalali of Tamil origin. That Tamil Mudalali has no care or regard for his ancestors, Ponnambalam Ramanathan or Arunachalam or for that matter, Amirthalingam or even Prabhakaran; his day’s goal is to meet the day’s lending target. The farmer’s target is to borrow some money for his fertilizer and seed paddy. Material needs are a greater equalizer in the arena of human relationships. The money that the farmer borrows and the Mudalali lends has no creed, caste or faith. It has only exchangeable value.” A never happened, and without any base, a false drama written by an anti-Tamil writer of Muslim sector, to blow air on Sinhalese anti-Tamil feeling and bring the Muslim’s writers and leaders lost LTTE mantra’s influence on Sinhalese Leaders. This guy, the Izeth Hussain II, is not being able to hide his anti-Tamil heart and starting with Sir.Pon. Ramanathan to spew his venom. As matter of fact Ramanathan was the first President of Ceylon, elected by Sinhalese. Yes Sinhalese are ready to elect a Tamil as president. But the Muslims leaders like Hakeem and writers like Lankamitira, who seek perks from Sinhala Leaders, are not ready to allow that happen. What hakeem did to TNA in Eastern Provincial Council election? He decided to stay with lost Sinhala SLFP and forced winning TNA to opposition. It is the Muslim leaders, with their perk seeking theory of “Ondukkirukirathu” with majority corrupts the Sinhala leaders. So, Stephen and Solomon West perfectly understood this hypocrisy and used Muslim leaders to swindle the country, preaching the Modayas with false propaganda. Muslims, once the poorest, but now the richest in the communities are feared of BBS and its partners. So calling from their masters with the theory of “Ondukkirukirathu” for a secound Mullivaikkal on Tamils. This man is more dangerous than Old King who looted the country with name of eliminating the terrorism and now blaming Yahapalanaya as looting. Not just he, even Izeth, Latheef, Hilimi all are coming out with a different tone only because they all expecting that the Lankawe’s Muslim Sinhala Goverment that was running country until now from DS time is here after going to be only Sinhala government. Is the women’s condition in UK and USA are like Lankawe’s Muslim women? Anybody know if this guy has written any essay on MMDA? A worse crook than other writer we mentioned earlier. The essay is trying to pose a very glamorous, an inconsistent for the current situation and an untimely question and trying come out with a racist- selfish answer. We can see that answer at the end. Muslims are demanding not just for minister posts but, high earning minister posts from their partners of Muslim-Sinhala government. They held/hold minister posts even the ones difficult for Sinhalese to get like education ministry, Justice Ministry, Trades ministry, shipping ministry….. . But did elected Tamils in Tamil’s party from North or East asked for those? When Kusal Perera proposed CV for EP as a CC, did he accepted that proposal? Then without understanding Tamils’ politics, why this crocodile tears for Tamils? Which Tamil is asking for Lankawe presidency from Lankamithra? What was the end of the Tamil, Kathirgamar, who rose up to the Prime Minister post, received from his own party members? The essay did not ask if a Sinhala Buddhist, the common man, the ordinary one, the son of the one you may see on the road or in wood walking miles and miles, passing all the ditches and bridges, passing all stretch of villages of poor Sinhalese and Muslims who own no lending money, just to borrow from a Tamil lender, can become a president of Lankawe, breaking the Lankawe customary Royalties. Has the common Sinhala Buddhist has the power in his hand to elect or fire a president of Lankawe? What were the statuses of the white males, Clinton or Lincoln in the American plutocratic society, before they became the presidents of America? Isn’t Clinton the child of a drunkard and divorced nurse? Can that happen without any election maneuvering in Lankawe, going beyond the Royals Families? What is the election maneuvering story of New King got elected. How many foreign countries had their hand on that power change? Why Ranil cannot become a president? Without trying to look at the actual salutation the essay is attempting pose a glamorous question and trying to steal attention. Sad part of this essay is it has not touched any aspects of the current Lankawe’s political situation, but travelling only in its hypothetical plane. It is not touching UNHRC crisis. It is not talking about Chinese Hangbangtota crisis. It is not touching ETCA. It is not talking about the stalled murder cases in Colombo courts. It is not talking of the stalled constitutional making process, it is not talking about MMDA and EU’s GSP +,……It is simply trying to take a tuition for the English educated crowd of CT that who are London Mayor and the president of USA. Writer is playing hide and seek, not being open not on that, but in many other areas of the Essay. It lacks, by accident or purposefully, the necessary elements to whom it pretend to be targeting, the Sinhala Buddhists. The essay assumes that so called Sinhala Buddhist are against minorities becoming presidents. It further going to claim though Tamils is first minority, but because Muslims cooperate with majority, it impliedly argues that a Muslims must be allowed to be a president. I am not sure if deprived a due position for a Muslim Person, in writer’s mind, who that Muslim leader is worthy but lost the opportunity to become the president (there wouldn’t be one talented Muslims for presidency, as the entire article is hypotheticals and created to accuse that it was Sir Pon. Ramanathan, one from race of Shylock lenders, who was the first one, started the racism in Lankawe in 1915. 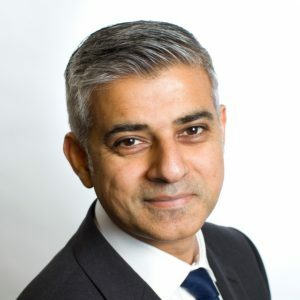 His claim of London Mayor a Muslim is a big claim in his mind to establish the worthiness of Muslims in Lankawe, but not willing to tell the Obama’s connection to Islam. We respect US’s and UK’s democratic political systems though they two are substantially different structures. In UK and US there are many states and Municipalities having minority leaders, including many Indian Heads. There are Eelam Tamil MPs in Canada. Beyond that, London is a cosmopolitan city. The whites in that city are used to all sorts of minorities. Further, when white are split in between Labor and Tory, it was not that a big deal a minority coming as mayor attracting all minorities’ votes. Obama’s first victory was somewhat like that too though in the 2nd election he had established his might. Looking at those aspects may sound like nitpicking. But the clear victory of President Trump only with White majority voting and Hillary Clinton’s claim of her loss was attributed that she is only a woman, can be evaluated only by asking question of, “then how did Obama win the election?” or “Is America’s political evolution is full and Complete for Lankamithra’s intended use?” . After 40 years, UK is leaving EU. Question: Why did Britain join EU? Answer: Economical reason. Question: Why Britain is leaving EU? Answer: The reason is anti-minority feeling. Then how sleazy the writer is when he picks these countries? (Why not Saudi Arabia; according to these writers the only land where the religious Olympians are living and the most pious land on the earth.) Why, did he do that? Writer’s object is not engaging into a sincerely deep political analysis. He has a crooked point. He sees it as the Tamils who sowed the racism and now it is unbridgeable. He wants to tell that. He is starting with Sir Pon Ramanathan, the Muslims’ perceived enemy as he had got released Don Stephen in 1915. From there, he is transcending it down to Leader Pirapaharan. Here further noticeable nastiness is he cooking up his sentences so that he cannot be blamed being nasty (he has stayed away from SJV or GG). With that his feeling is not satisfied of he had established his point that it was the Tamils, who started the racism in 1915. To feel fully satisfied he created a fictitious character, “the usual Tamils citizen”, a Shylock class money lender. Tamil were known for their percentage of employment until 1956. Until 1983, there were few businesses for them in the South. In Lankawe, Muslims are known for the trade and unscrupulous trade practices. In Aluthgama and after that when, Sinhala thugs burned Fashion Bugs like institution, they accused of selling sleazy garments for Sinhala women to exploit their innocent, openness while enforcing Arabian dress codes for their women to hide from Sinhala men’s eyes. The famous story of “Merchant of Venice” depicted Jews as cruel money lenders. So for Lankamithra, Jews are Shylocks and his created money lender Tamils are Jews. Because Muslims cannot lend money for interest, Tamils are money lending Jews a business beyond their ability to concur from Tamils after 1948. It is in those circumstances that greedy, ignorant, Tamil money lender demanding flesh from poor Southern farmer without knowing murderous Pirapaharan carrying out terrorism in the North. How stupid greedy could those Tamil Lenders than that to loose every in pogroms? Though Lankamithra nice to feel really sorry for those fools, still in his subtle, Muslim writers only Jury verdict, the Sinhalese and Tamil are guilty and the pious Muslims are the one deserving the Presidency of Lankawe. You should ask this question from the voters. there are plenty of examples how those muslim leaders treat their leaders with minimum power.They cut of trees in wilpaththu and gives lands to their people, few of those land owners are native of Pakistan. ones a muslim minister appointed as a ministry for a ministry of Justice and implemented quasi law section in all magistrate. We Sinhalese and Tamils don’t want to eat Halal but they compel us to eat. They build every where mosque to show their power. They are doing various things to decrease the population of sinhalese people. These things are truth. every one knows. So how we can trust muslims? They are cunning and opportunist peoples. actually there was muslim mayer in colombo way before london so what hell they are talking about.And jr jayawardana is a muslim by genes but their familly converted to christianity in colonial times taking sinhalese names and swrd bandaranayake was catholic.only R premadasa and Db vijeythungha and Ds senanayake were buddhist from birth all the others are converts even Mahinda last one .They have to convert according to the law to buddhism to make him or her the leader.And actualy DS was kalu sudhek so actually only two leaders were buddhist .before the Ds there was Tamil leader called ponnambalam ramanadan.Actually sri lanka is not controled by buddhist and This is the problem if there is sinhalese buddhist as a leader either he will be killed like premadasa or desimated.so only leader was db but he was tempreary guy there is non at all this is why sinhalese are angry.